Tiyon Christian Discusses Holiday Single and How He Spends the Holidays! R&B, soul, pop artist TC or Tiyon Christian, has gotten into the holiday spirit with releasing what else, a holiday track titled "Mine" this coming Thanksgiving holiday, to get all into the spirit of all holidays! 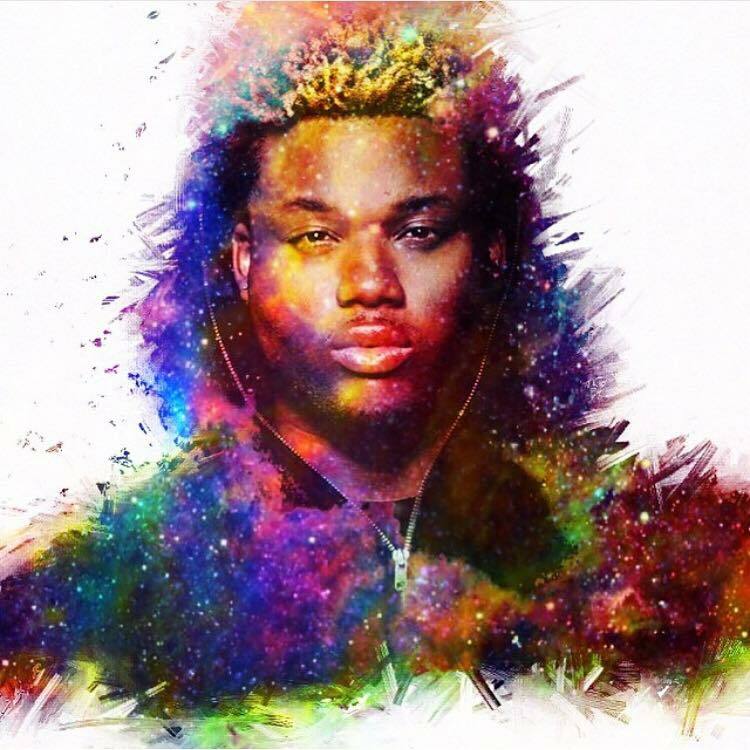 Tiyon Christian goes into discussion about this holiday single, and just what else he has done for the rest of the holidays, upcoming and the most recent ones too! 1. So when did the idea for doing a holiday Christmas song come to be? I personally love the holidays and holiday music. This is not my first holiday project. I released a Christmas EP in 2015, "3 Kings". This year I’m working with a new team. Collectively, we all agreed that starting with a holiday song would be a great launching pad for all the new music I’ll be releasing in 2019. 2. Now tell me about this particular track, it isn't your average cover song track correct? It is purely all original content titled "Mine"? "Mine", is 100% original. I collaborated with a great friend, Johnny Thomas Jr, a gifted producer. I expressed to him the direction I wanted to take the song. Also, that I was not looking to do a tradition sounding Christmas song. I guess we accomplished the goal or you would not of asked the question! LOL. The song can be played all year round. The Vibe is more up to date then most Holiday songs. It has a sensual feel while at the same time brings across a feel good, old fashion holiday message. 3. If you did have the option to do a cover out of the array of Christmas tracks available, which would you pick and how would you put a twist on it? My all-time favorite Christmas song is ironically, "The Christmas Song". IN MY OPINION, it’s one of the best Christmas compositions in terms of lyrics & melody. I'm a big fan of vocals, so my twist would be an acapella version with harmonies galore... It would be magical!!!!! 4. Will "Mine", be receiving an accompanying music video or just remain a standalone single? My team and I are working hard to complete all the elements of the marketing plan for this single. We know how important visuals are in today’s world of marketing music. "The art of music MOST be attached to strategic imagery". 5. For this one, you went on to create not just an English version of the holiday single but a Spanish version as well? I constantly challenge myself and wanted to do a Latin record for a while. The movie, "Salena", was one of my all-time favorites. I was also very inspired by my recent trip to Santo Domingo. The music there just caught me. I was honestly very nervous before the recording session. The process of singing and recording in Spanish defiantly took me out of my comfort zone. Its important to me that I continue to expand my gift worldwide. Not just the U.S. Market and not just my culture. TC| Tiyon Christian is a world-wide brand and I’m a worldwide artist with an amazing team who developed a unique and aggressive marketing plan for 2019. 6. Whilst this track revolves around Christmas time, why release it on Thanksgiving? If you're a holiday lover like me, you start playing holiday music on Thanksgiving. Also, I want to give my fans my art to play the entire holiday season. 7. Speaking of the holiday season, what were your plans for this year's past Halloween? I was in LA working with Rodney Jerkins on new music while everyone was attending Halloween parties. I Live by; "Work First, Party Second with a PURPOSE". 8. What are in the works for Thanksgiving? Who are you thankful for and why? This holiday I’m playing things by ear. My family would like me home. However, I’m in Florida with my team working hard on the 2019 marketing plan and finishing up the content and music required to support the annual roll out. I'm just thankful to God for letting me see another day & blessed to be surrounded by great people to go through my life’s journey with. I could never ask for more. 9. When it comes to the fest of Thanksgiving Dinner and desserts, which is your favorite? OH MY GOSH! Do I have to pick? I absolutely love stuffing, mac&cheese, greens, chess pie. There’s so much to choose from. I'm honestly a fat kid at heart! 10. How about Christmas and all the other rotating holidays, have anything special you want for Christmas this year? I wish for nothing other than to enjoy the holiday with my family and friends. 11. Which holidays do you celebrate that you would like to share with us? Even though I'm single, I do love Valentine's Day. 12. Does New Year’s Eve and Day have anything lined-up? I’m working so hard preparing for what’s to come in 2019 that I have not given it any thought. But I have an amazing group of friends and I'm sure they will be dragging me out somewhere. HAPPY NEW YEARRRRRR! 13. If you had the chance to, would you ever create a song for every single holiday throughout every year, i.e. Easter, Halloween, Valentine's Day, Thanksgiving, etc. I think that may be a little excessive. But if I feel it or if there is a great need and cause... Game on! 14. What other sort of plans does TC|Tiyon Christian have in mind between now into 2019? I'm so focused on my music. I've put my own artistry on the back burner for the past 8 years writing for so many amazing artists. It’s My Time Now! 2019 I’ll be delivering a new single every month for the next 12 months. Get READY! It’s going to be epic! 16. Tiyon Mack or Tiyon Christian? Tiyon "TC" Mack, is my brand as a song writer. 15. Would you like to add or say anything more as we wrap this up! Thank you so much for the interview. I look forward to speaking with your fan base again in 2019 as I release the singles. I hope everyone enjoys “Mine" & “Mia” and shares in the infectious holiday vibe I created for everyone to enjoy.